Unfortunately, lead paint claims also usually involve serious and irreversible injury. These are known as toxic tort cases. Houses built before 1978 often have lead based paint in them. Manufacturers and retailers have known the dangers of lead based paint products since the early 1900's. Lead based paint can appear on walls, ceilings, porches, blinds, fixtures floors, cabinets, and virtually anything painted before 1978 when lead based paint became outlawed. A child under 7 years of age is particularly susceptible to lead based paint problems because the child's brain has a significant amount of development to complete. Often, the injury is to a minor child who may eat a flake of old paint, inhale lead dust or touch lead based paint and thereafter put his or her hands in the mouth. In older houses, lead paint can be found in many areas of a house, especially if the area has not been re-painted. Even if the paint has been covered, wear and tear, splitting of wood and many other factors could expose children to lead paint issues. The symptoms of lead based paint poisoning may not even appear immediately. Over time the child may suffer from learning disabilities, loss of intelligence quotient, neurological problems, hyperactivity, attention deficit disorder, organ failure, significant brain damage, coma or death. Frequently, the result is serious and significant with permanent brain injury. The early signs of possible lead based paint ingestion include some of the following: sluggishness, apathy, seizures, loss of consciousness, loss of appetite, and irritability. There are diagnostic tests that are used to determine the amount of ingested lead. Frequent testing is done to monitor the progressions of the lead levels. A client should seek the services of a physician who has a keen understanding of the dangers of lead and who has practiced in this field for a long time so as to have acquired a deep knowledge of all the issues involved. A person who suspects lead paint involvement regarding small children should try to obtain and keep safely samples of the areas suspected of having lead paint. More than one sample should be kept. This would permit the attorney to have independent testing performed if necessary. Moreover, the local health departments are more than willing to conduct tests for lead paint usually. This helps deter other children from falling prey to the same dangerous substances. 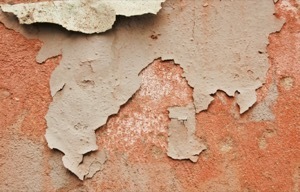 Frequently, lead paint cases also involve retaining the services of a structured settlement expert to make sure the child is taken care of the rest of his or her life. A life care planner may be needed to determine what the child’s needs would be in the future so that an economist could indicate what the likely cost of that treatment might be in the future. It is important to understand that one should also try to rule out other environmental factors that could cause lead paint poisoning. The paint industry and defense lawyers will try to suggest that it was some other location where the child regularly occupied that could have caused the problem. The experienced lead paint lawyer can assist you in presenting your lead paint case properly to a jury for maximum recovery.